TripAdvisor, the largest travel review site in the world, has announced the winners of the top 10 beach destinations in Italyfor 2012. Winners have been selected on the basis of the most popular beach destination for travelers from TripAdvisor. And I am proud and happy to announce you that there are three beaches in Sardinia that have been awarded as the best inItaly! Sardinia is unique among the Italian regions for the greatest number of positions won. Cagliari on the island’s south coast and Sardinia’s largest city and capital, is in fourth position for its beautiful long beach and the charming atmosphere. Travelers say: “its warm climate draws both locals and tourists to the beaches from April to October. The five-mile-long PoettoBeach is among the best city beaches on the Mediterranean, and it is the venue for many famous sailing regattas. Several of Cagliari’s restaurants provide stunning bay views and serve traditional Sardinian fare as well as fresh, local seafood. Culture-seekers and land lubbers will love the old district of Castello, the highest part of the city”. 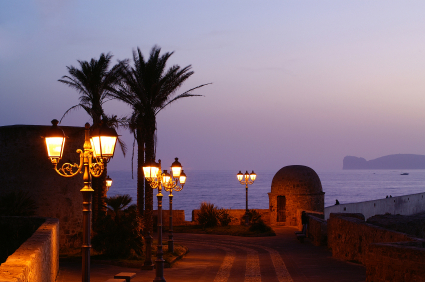 In seventh position Alghero, in the north west coast is “a rare year-round resort. Offering an irresistible combination of history, architecture, culture, stylish shopping, fine food and wine, and water sports, Alghero’s cobblestone streets can be explored on foot or by bus”. Do you need something else to convince you that Sardinia is the perfect place for your destination wedding? Allow yourself to wonder, come here and let your eyes guide you. Sardinia offers some of the best beaches, without any doubts.